One of the things I love about Italy is that everybody, no matter what age or gender, enjoys a gelato in the afternoon. There’s no excuse needed; there’s no rationalization. It is just pure enjoyment. But here in the U.S., I sometimes feel like I am being judged if I decide to have an ice cream in the middle of the day. Ice cream is seen as a dessert or for special occasions but not as an afternoon snack. 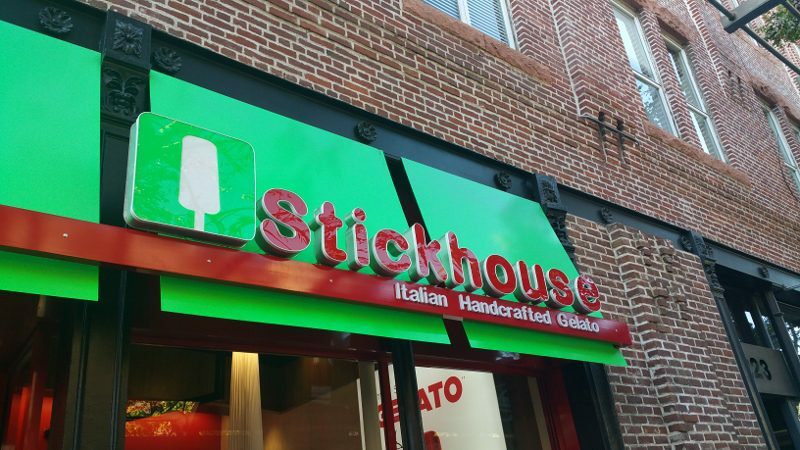 But, maybe that will change with Stickhouse Gelato. 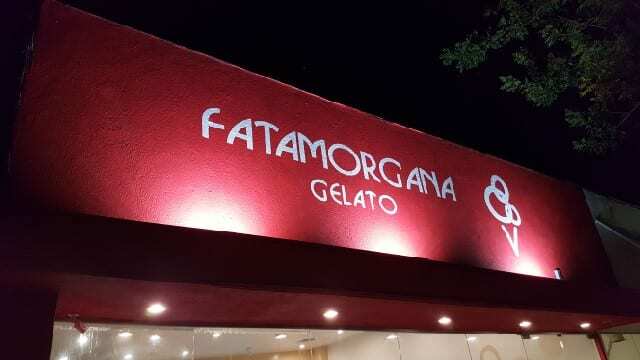 With 92 stores around the world, including Italy, London, Germany, Spain and throughout Asia and the Middle East, Los Angeles is the location of the first U.S. store. 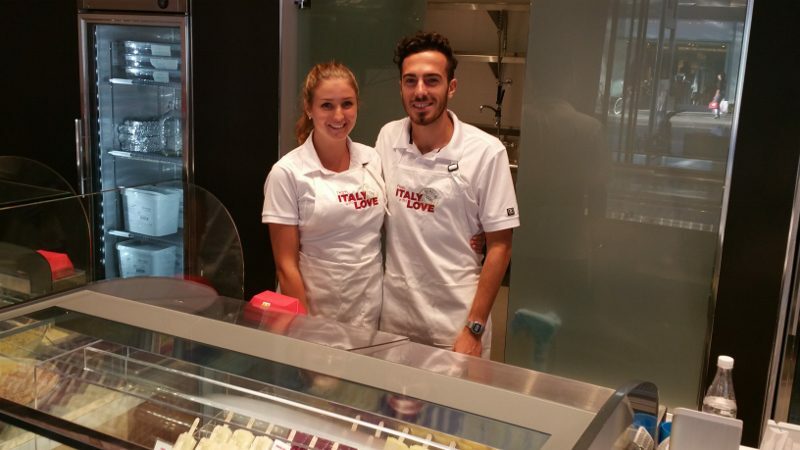 Located in Santa Monica, just off the 3rd Street Promenade, Stickhouse Gelato will transport you to Italy as you are greeted by the young Italian staffers, Elisa and Andrea.